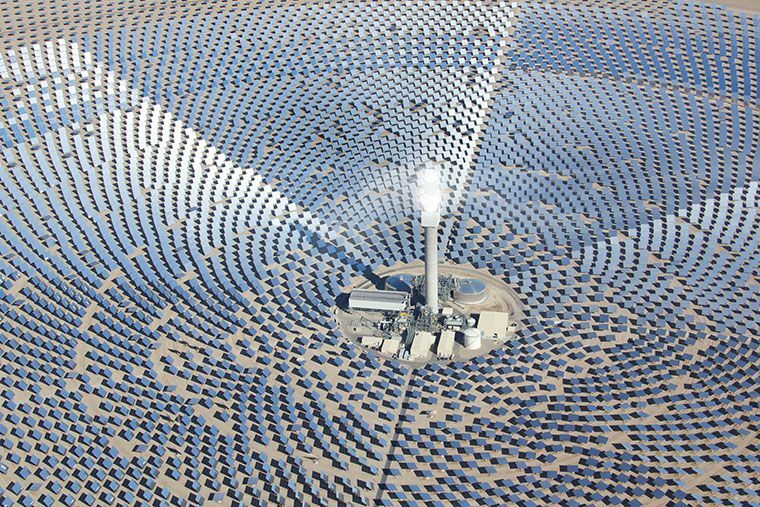 The South Australian government has commissioned a $650 million solar thermal plant which will produce 150 Megawatts of power. …The contract was awarded to Solar Reserve for 20 years and the Port Augusta plant is expected to be completed by 2020. The government intends to use 125 Megawatts of power from the solar thermal plant for all government capital projects, but will sell the surplus to other non-governmental customers. The plant will use concentrated solar thermal technology to harness the sun’s power to generate electricity by using lenses and reflectors to concentrate sunlight, heating molten salt to produce steam to drive a turbine. The clean solar thermal plant will fill a void for the regional town of Port Augusta, after its coal-fired Northern power station closed last year. The announcement came after Malcolm Turnbull told the South Australian Liberal Party annual meeting on Saturday that the state’s strong focus on renewable energy was equal parts “ideology and idiocy”. Experts, however, have spoken to website Gizmodo and largely gave a big thumbs up to the solar thermal project.